For women, don’t wear open-toed shoes. Choose a conservative, closed-toe heel. For men, wear black, not brown, shoes. Avoid strong fragrances. Don’t wear perfume or cologne and don’t eat pungent foods before interviewing. Choose simple jewelry, nothing too large, trendy or noisy. Wear no more than one ring on each hand, one set of earrings and no bangle bracelets that could distract the interviewer. Remove visible body piercings and cover tattoos. You may view them as showing your creativity but the interviewer could be negatively influenced by them. Don’t have unkempt nails, chipped polish or wear dark or trendy colors. Choose a neat, simple hairstyle. Save edgy hairstyles for the weekend. Avoid wearing anything low cut, sheer, too short or too tight that could distract from your skills. 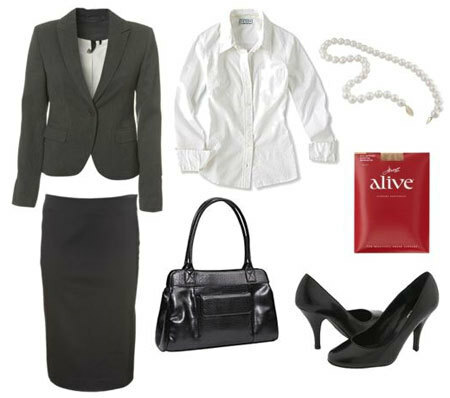 This entry was posted in Dress to Impress, Employment Tips, Interview Tips, PRofessional Solutions News and tagged what to wear to an interview. Bookmark the permalink.